The role that the social and behavioural sciences play in the daily practice of dentistry is now an essential part of all dentistry training, but it can often seem distant from the reality of daily clinical practice. Dentists often ask: what is sociology? Why do I need to know about psychology? Why do I need sociology and psychology to be an effective dentist? How can they help improve my clinical practice? This new textbook answers these important questions and shows how the social and behavioural sciences can inform the practice of dentistry and allied healthcare services in the twenty-first century. 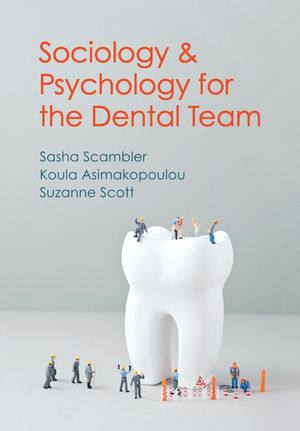 It provides a comprehensive, accessible introduction to sociology and psychology for students and members of the dental team with no prior knowledge of the subject, and although the book assumes little or no previous knowledge of psychology or sociology, it also provides enough depth to meet the needs of those with some background in these fields. Throughout, the links between sociology and psychology and everyday practice are emphasized and explained and theoretical concepts are put into the context of everyday clinical work. The authors have extensive experience in teaching and researching the social and behavioural sciences from undergraduate to post-doctoral levels. This book will be an indispensable teaching aid within dental health education, and other allied health and social care disciplines.